MusicRadar is taking part in a massive gadget giveaway, with a huge stash of tech goodies (plus a tent and driving experience!) 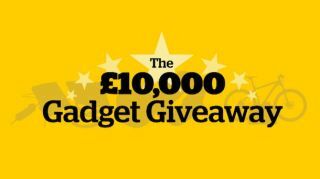 worth £10,000 up for grabs in our biggest ever prize draw. Increase your chances - for every 2 text entries, you get a third one free! The competition is open to UK readers only. For full details and to check out all the prizes head to the official competition site.